Bourjois Smoky Stories in ‘Over-Rose’: Part of Bourjois’ AW drop, this is drugstore palette perfection that’s caused me to ditch the Naked and get all rosy. You apply these shades in order of light to dark as a base, contour and definer with a dusting of glitter over the top- it looks super pretty and is the perfect way of bringing sparkle to the day job! Benefit Majorette: When I opened my beautifully packaged peachy pink cream blush I had no idea it would become the only thing I allow my cheeks to wear. But in these dull, pale skinned winter months this is the perfect pick me up that blends like a dream adding much needed dewyness and smells of pomegranate in the best possible way. I may have found the one you guys. Caudalie Beauty Elixir: I finally gave in to the hype on what is perhaps the most overhyped toner of all time and I’m actually so glad I did! I’ve been going through a bit of a bad patch in the skin department and this has been sorting it right out. A few quick spritzes between my morning/night cleansing and moisturising smooths pesky bumps, calms any outbreaks and brightens everything up. It also smells like a zesty cocktail I very much want to eat. Bourjois Megaliner: November was the month I finally found the holy grail liner for cat flicks. This baby does have a slightly tricky angled felt tip applicator, but once you’ve got to grips with it you’ll find it comes out ultra black and DOES NOT BUDGE. Never in the history of my makeup wearing have I found a liner that doesn’t leave my big old flicks in a smudgy/flaky mess by the end of the day. Until now of course- I highly recommend that this is tomorrow’s pay day purchase. Paco Robanne Lady Million: It’s not often that a fragrance makes it’s way in to my favourites, but as you’ll be looking for things to pop on Santa’s list I thought I’d include the one I’ve been loving lately. 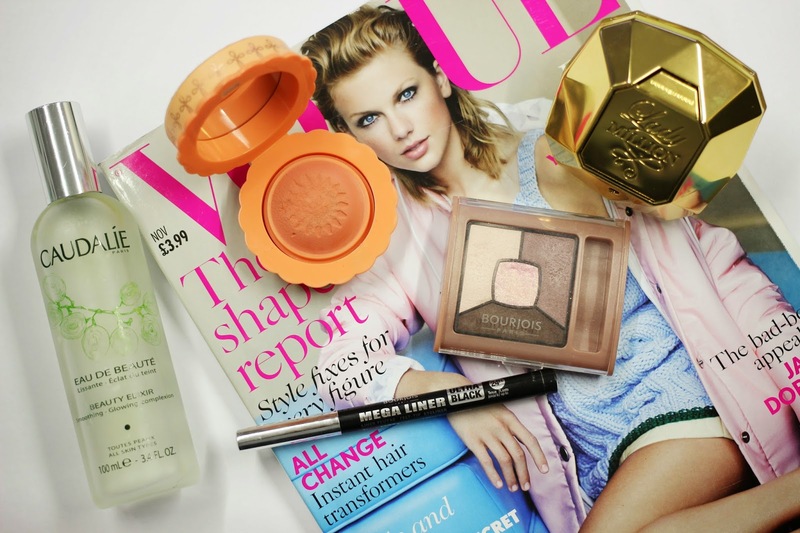 Paco Robanne Lady Million is a new addition that I’ve been enjoying very much indeed. It has that whole girly/grown up balance just right with a delicious orange/honey based scent and the packaging is dreamyyyy as. I loved this post! I can't wait for Christmas either! 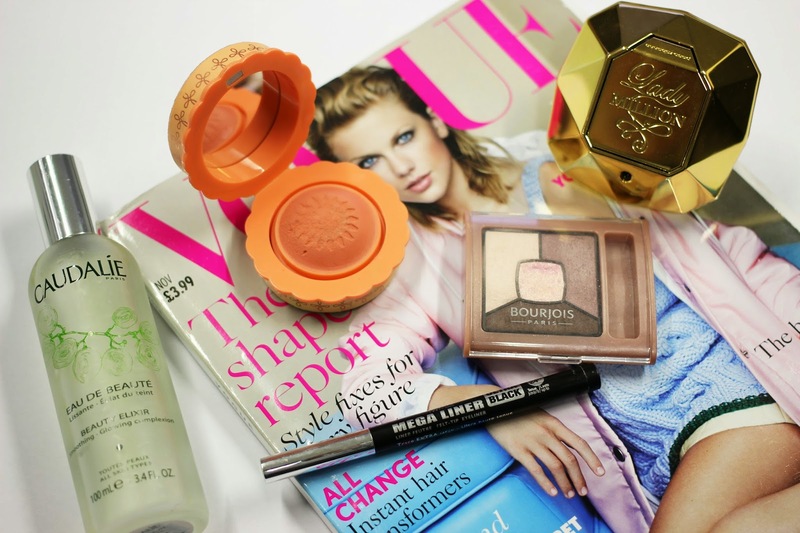 The Bourjois palette is one of my favourites too but I love the look of the Benefit blush! I love the Caudalie Elixir, I thought it would basically be water but its so refreshing!